H1N1 just keeps on giving in La Gloria, Veracruz, the hamlet where the virus was supposedly first detected back in April. 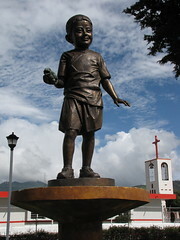 Since the media from the across the globe first descended on La Gloria last spring, in search of the first-known H1N1 carrier, five-year-old Edgar Hernandez, the PRI state government has paved a new road through town, painted many of the public buildings and even erected a statue to young Edgar. Others blame the nearby pig farms - a charge hotly denied by the farm operators - and see the largess from the state government as nothing more than Gov. Fidel Herrera trying to make amends for all of the complaints about the agribusiness in the region. The boy, they complain, is an object of propaganda for the powerful state PRI and Gov. Herrera, who has given the Hernandez family a truck and given Edgar a scholarship. The governor said while unveiling the statue in August that it was a testament to the hearty folks of La Gloria, nothing more. Many speak ill of the statue, however. 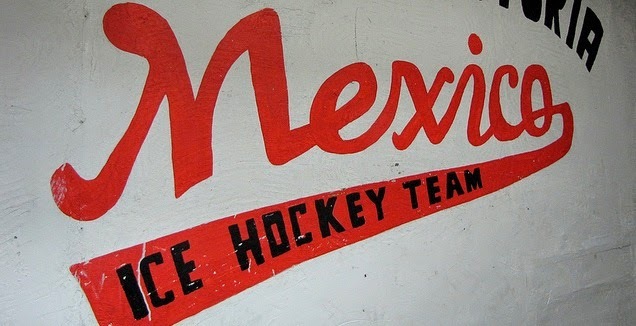 I accompanied Thane Burnett of Sun Media to La Gloria in late August: here's his report.